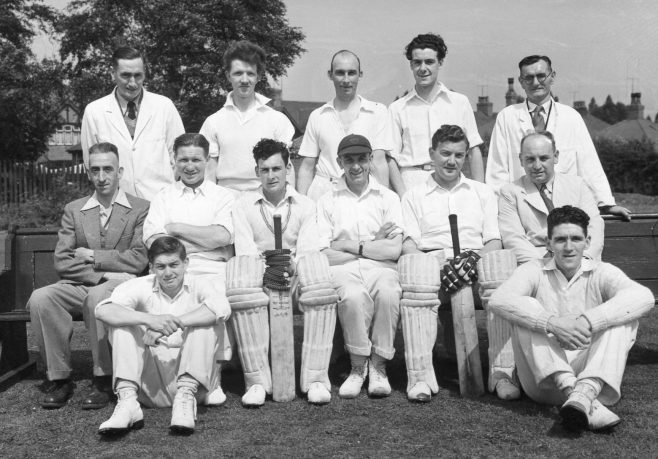 Mansfield Woodhouse Amateur’s Cricket Team’s during the 1950’s – photographed at various grounds around the area. Fred Maltby, East Kirkby, Notts. 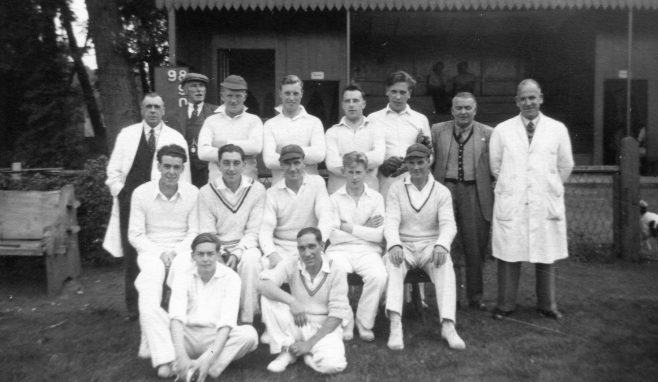 The photos of the Pleasley Vale Cricket Ground brings back memories of an idyllic place, when every Saturday and Sunday in the Cricket season crowds flocked to watch the cricket. The Pavillion appears to be smaller than I remember, the area where spectators sat appears very small to how I remember it. Pic. 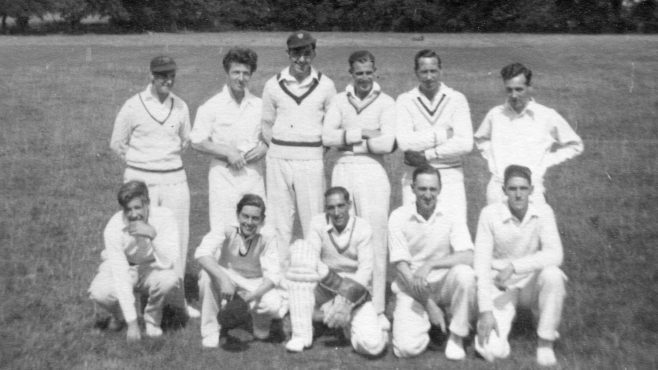 1 3rd from Right Edmund Buck, middle row 1st left, ? Jepson. Pic 2 front row Left, extreme Right Jim Flinders? Pic 3 back row 2nd from right ? 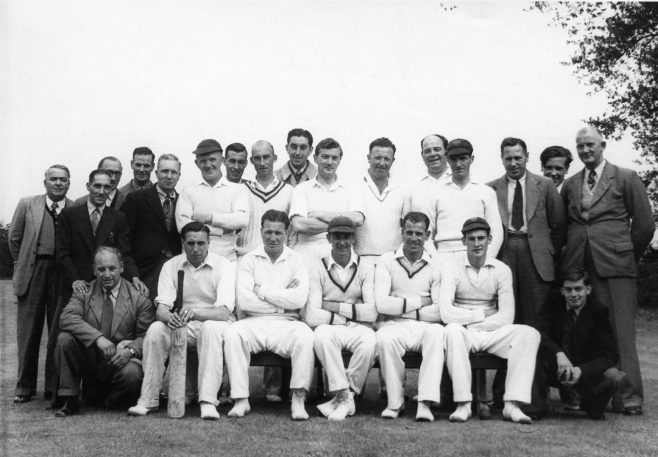 Jepson middle row 2nd from right, Johnie Downam seated on ground, right Jim Flinders. pic 42nd from left Jack Buck back row, 2nd from right Edmund Buck. 7th from right Johnie Downam, I believe some of these players also played football for St Edmunds in the 40s and 50s.